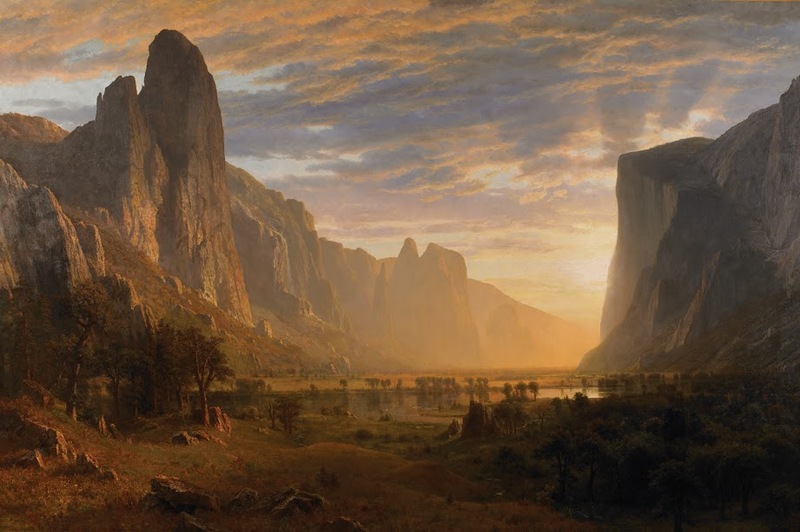 When you put together American landscapes, Romanticism and a spiritual view of nature, you get a uniquely American kind of sublime in 19th-century painting. 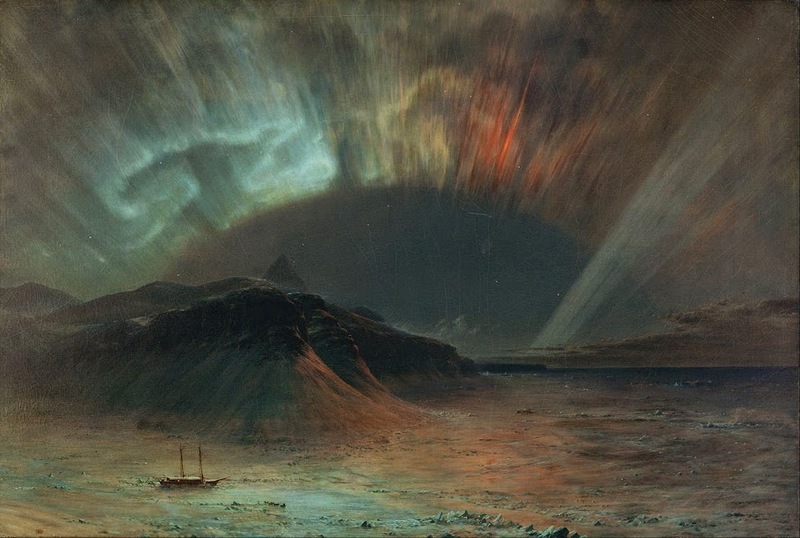 Not the thrilling sublime of storms and volcanoes, but a serene, contemplative sublime that connects nature with the divine. 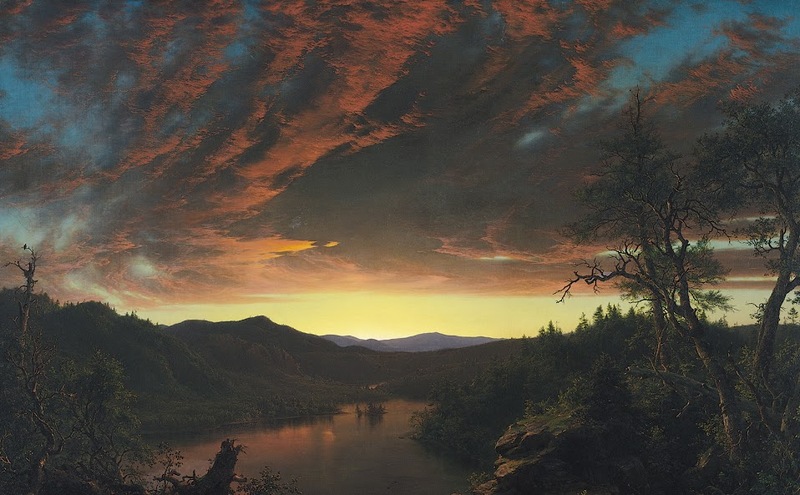 Few American painters captured that spirit better than Frederic Edwin Church, one of the most prominent artists of the Hudson River School, which was the first major school of painting in the US. 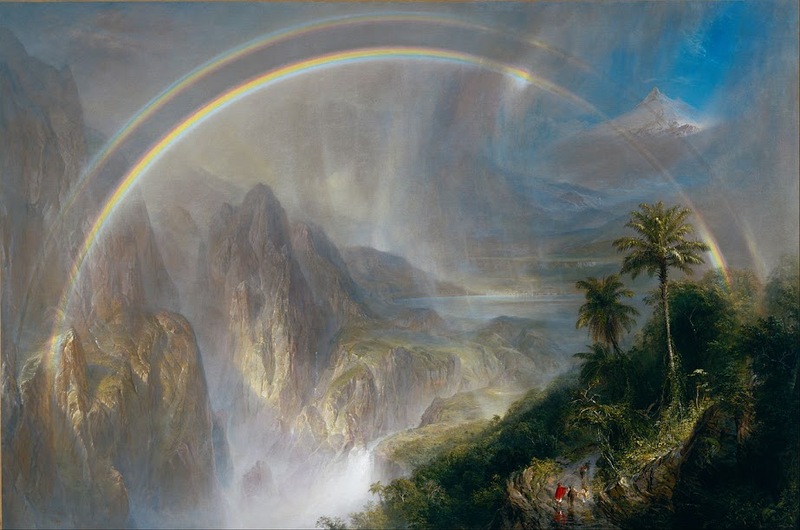 Frederic Edwin Church was not only a master of detail and composition, but also a master of that special kind of light that turns looking at nature into a religious experience. 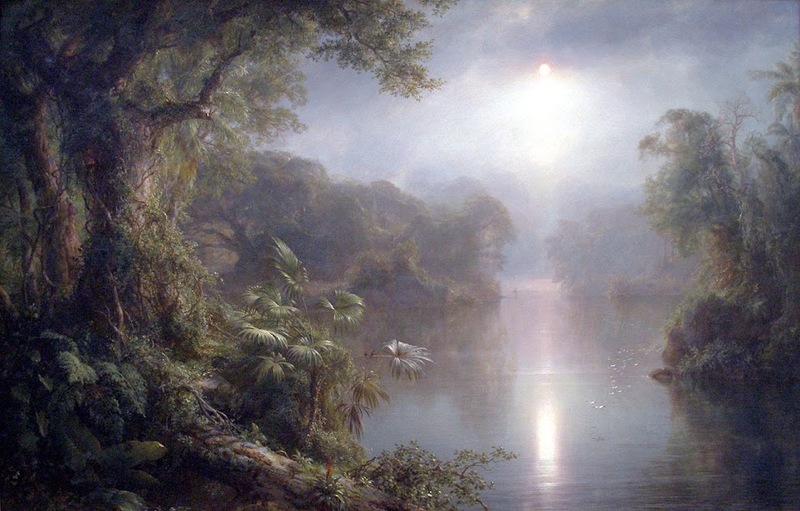 Frederic Edwin Church, The River of Light, 1877, National Gallery of Art, Washington, D.C.
Church traveled all over the Americas in search of new landscapes and light phenomena, looking at each location with the same sense of spiritual wonder. 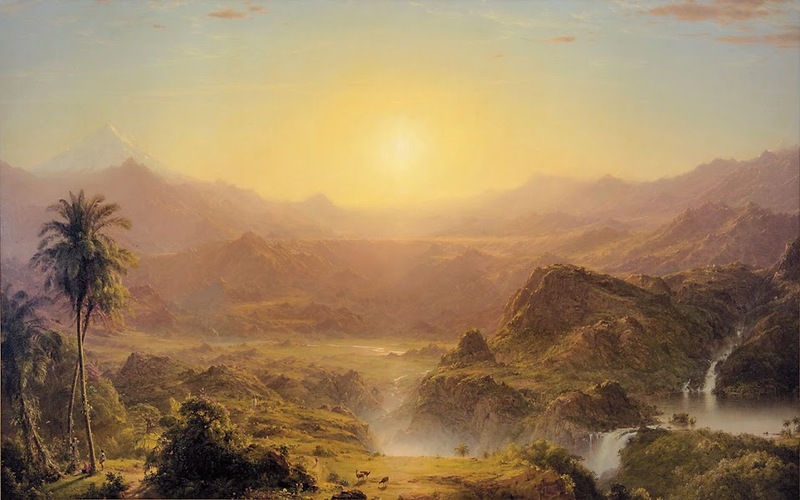 The only other American painter who comes close to Frederic Edwin Church in that regard is Albert Bierstadt, who also belonged to the Hudson River School. 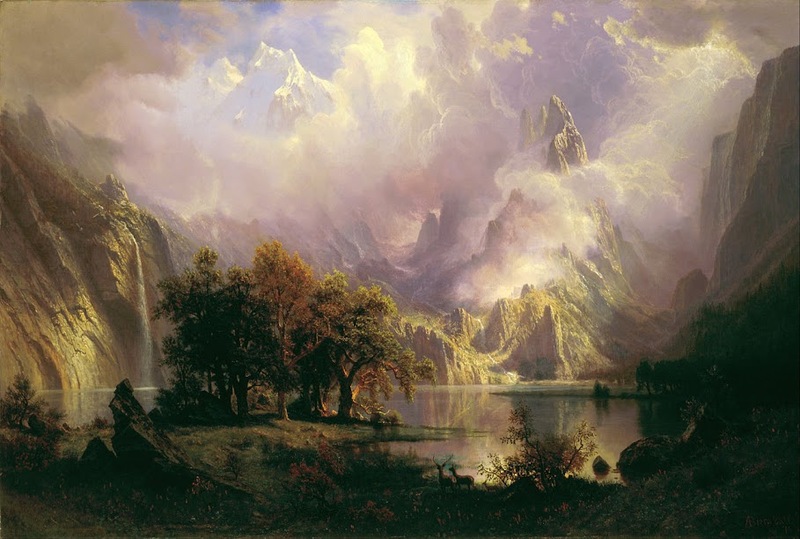 Albert Bierstadt, Among the Sierra Nevada Mountains, California, 1868, The Smithsonian American Art Museum, Washington, D.C.
Albert Bierstadt, Rocky Mountain Landscape, 1870, The White House, Washington, D.C. 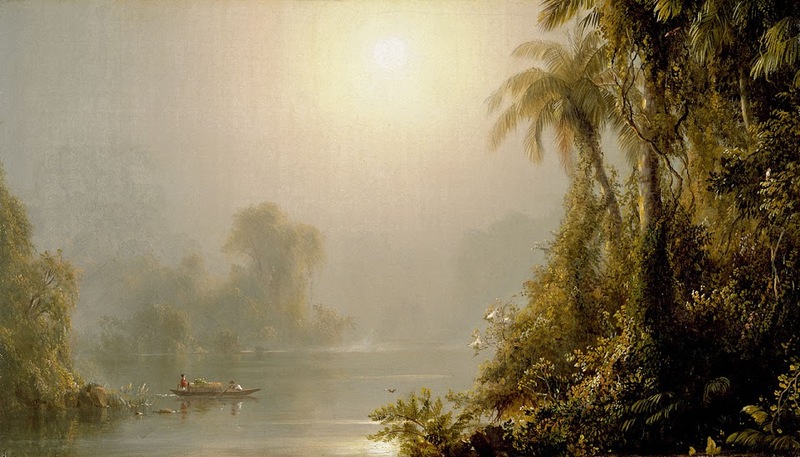 In the end, the Hudson River School painters are to American light what Ivan Aivazovsky is to the sea. 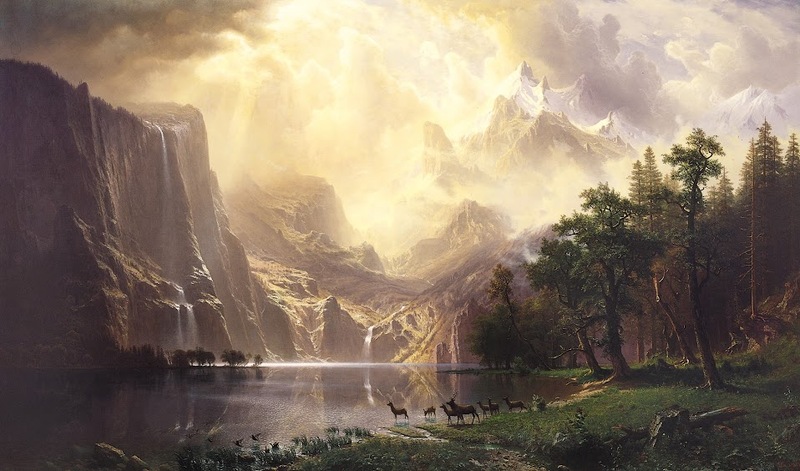 Few other painters have made it look more sublime and in the process connected us with something so much greater than ourselves.